Samsung’s high-end phablet comes with a revolutionary S Pen, which can be used to trigger the camera remotely or switch slides during a presentation, thanks to its Bluetooth capabilities. A great display is accompanied by an intelligent camera. Whether this is enough to make the Note 9 the best business smartphone of the year, you can learn in our review. In conclusion, the Samsung Galaxy Note 9 is also one of the best smartphone cameras, including in daylight. It may lack the versatility of the Mate 20 Pro or the LG V40, but it provides an excellent image quality for today’s most common use cases: day and night photography. You can also read our complete review of the Galaxy Note 9 smartphone. Samsung has been an innovator with the Galaxy Note lineup, with past models setting the bar for productivity powerhouses with huge screens. But these days, nearly every flagship phone is now giant. Having a cutting-edge processor, pro-level camera and lengthy battery life is no longer special — in fact, Samsung just released such a phone this spring in the Galaxy S9+. I absolutely loved my time with the Note 9. Yes, I know it’s nearly double the price of my beloved OnePlus devices, but it’s just a truly gorgeous screen to look at, with a fantastic feel in the hand ( improved in a case). The battery lasted me the whole day with plenty to spare at bedtime. The 3.5mm headphone jack is still here and even though the S Pen has its own silo, the device is still fully waterproof. The S Pen adds some nice features, but not something I would use all the time. Although there’s no Android 9 Pie, it is rumoured to becoming available in Feb this year and that will add the Samsung One UI. Yes its expensive at £899, and we all know that in a few months its will be half that, and at that point I’ll be seriously looking at getting one. If you’re planning to go on that long awaited jaunt out of town, you have a ton of things to pack especially if you aim to remember the occasion like a camera, the charger for said camera and a ton of spare SD cards. And that’s not even counting your other holiday luggage and other kit. Here’s how to ditch all that and have a much more pleasant holiday! The Galaxy Note 9 continues to be one of the best phones in the world. The AMOLED display is the best you'll find on any phone today, the S Pen continues to be a great differentiator, the 4000mAh battery lasts all day, and the Note 9 is one of very few high-end phones that offers a 3.5mm jack. Combine that with a gorgeous design and great cameras, and you begin to understand why the Note 9 is so good. There are lots of ‘big’ phones on the market, but none do as much with their size as the Note 9. The changes over the Note 8 are all vitally important to making this a much better device, and it feels a much more complete handset as a result. The Galaxy Note 9 is the best Samsung phone you can buy right now, but it’s also oddly the most niche. If you don’t want all its expensive features like the S-Pen and huge 6.4in display then the standard S9 will suit you for around £300 less. Bigger than previous Note phones in every way, the Samsung Galaxy Note 9 has a larger 6.4-inch screen, heftier 4,000mAh battery, and a massive 1TB of storage option. The already good camera is slightly better, the stereo speakers are a first for the Note, and the Bluetooth-connected S Pen can activate fun customizable shortcuts remotely. But its price matches (and even tops) what you’ll pay for an iPhone XS Max. 84% Samsung Galaxy Note 9 Review: Android’s Most Note-Worthy Phone in Nine Points! Well, that all depends on how comfortable you feel dropping $1K on the phone. If you’ve been looking to upgrade your current device for over a year (probably 2), then the Note 9 is a feature-packed beast of an Android device with a camera that can nearly rival a Sony RX100. It’s Super AMOLED display is crisp, bright (even in sunlight), and an absolute joy to behold. And its wide-angle camera is a nice addition that more manufacturers should incorporate in their designs. While the Note 9 is not going to replace a DSLR anytime soon, it might just give you an excellent excuse to leave it behind. Finally, if you're a gamer and want to take a short break with gaming, you would probably love the Galaxy Note 9. Not only does it have a great processor to keep up with the latest intense graphics games, but its 6.4-inch Super AMOLED display is just fantastic for your viewing pleasure. To add on to that, the phablet also has a Water Carbon Cooling System to keep it from overheating. Enough said. The Galaxy Note 9 is probably the best phone in the world at the time of its launch but it's not for everyone. It is a power user's device, with features hidden under the surface that the average person doesn't want or need. So there you have it. For a good battery consumption throughout the day, we suggest closing all your apps in the background when not using them for a long period of time. But if you're still experiencing odd battery drainage from not doing much, you can have it check out in the Samsung Premium Care Centre in Plaza Low Yat @ Kuala Lumpur or its online customer service in mySamsung app. The Samsung Galaxy Note9 is available in Metallic Copper, Lavender Purple, Ocean Blue, and Midnight Black from all retailers and carriers. For a list of carrier plans check out the Samsung Whistleout website or for retailer pricing and availability check out your local electonics retailers — the 128GB/6GB version has a RRP of $1499 whereas the 512GB/8GB version will set you back a RRP of $1799. In summary, the Samsung Galaxy Note 9 can create great images rivaling its biggest competitors. You will definitely impress most of your friends with awesome photos. It is definitely not the best smartphone camera out there, though your experience likely won’t be affected much by the camera’s downsides. A big smartphone with a big price tag. It won’t suit everyone, but the improved Note 9 is one of Samsung’s best. The Galaxy Note 9 is the best Android flagship smartphone you can buy right now. At $999, it definitely is very expensive but then Samsung offers plenty of goodies with the device to sweeten that deal. The Samsung Galaxy Note 9 is undoubtedly a great device. We were initially underwhelmed when the phone was first announced but it completely won us over. Sure, it doesn’t push the boundaries nor has groundbreaking innovations but the refinements on the 9th iteration of Samsung’s flagship make it the best yet. Despite a couple of qualms here and there the Samsung Galaxy Note 9 will have no trouble ranking as one of the best phones of 2018. It is fast, it’s premium, it has a great camera, it has great battery life, and it has a new improved S-Pen. There were only a few reasons I could come up with to not buy this phone. The Note 9 won’t be for everyone, though; but that’s always been the way with the Note series. It’s super-expensive at £899/$999 and, for many, it will simply be too big. I also think the overall design of the Galaxy S9 Plus is slightly better. So that's all about what you need to know about the Dual Aperture! Although it's considered quite an "old" feature, I personally think it's one of the best things that a smartphone can have and it's a treat for enthusiastic mobile photographers. When combined with the new Scene Optimizer and Flaw Detection features of the Samsung Galaxy Note 9 then you get a cameraphone that can take good shots in nearly all situations. For RM3699 or RM4699 (512GB model), the Samsung Galaxy Note 9 is like the ultimate all-rounder - it has good performance for gaming combined with the Water Carbon Cooling System, a durable battery, a convenient Bluetooth S-Pen for work, an improved camera and a large storage space. Even though that's the case, customers might skip these incremental updates (because money "note" enough) and might look at the Galaxy Note 8 instead. The Galaxy Note 9 is Samsung’s largest phone by screen size, and continues a recent tradition of borrowing heavily to iterate forward. A king-class mobile device with absolutely every feature and then some, and specs maxed-out to the limit. The Galaxy Note 9 is a hell of a phone. It’s probably the best phone on the market today because it has and does everything. Excellent camera? Check. Excellent battery life? Check. Solid performance? Check. Amazing display? Check. All the storage, RAM, and connectivity you could ask for? Check, check, and check. S Pen? Yep, got that too. It shouldn't come as a surprise that the Galaxy Note 9 excels in gaming, but because of the Water Carbon Liquid Cooling system, this is a welcome addition and it compliments the 4000mAh battery pack very well in the long run, as well as the high-end hardware configurations inside. In other words, we are happy to report that the Water Carbon Liquid Cooling system is not a gimmick after all and the phablet can be viewed as a serious gaming smartphone contender. How Reliable is the Samsung Galaxy Note 9 4000mAh battery? After 3 hours of intense gaming, the Galaxy Note 9 battery is able to hold on until 45%. One thing that we noticed during gaming, the temperature stays in between cool and warm so that proves that the Water Carbon Cooling System really works. However, the sides of the body frame became quite hot but not to the point that it made me uncomfortable while playing. Not to forget, big display usually consume a lot of battery energy and the phablet can still withstand it. Nice. On the whole, Samsung Galaxy Note 9 is an amazing device with all the amazing specs. The price is a little high and people are not happy about it but it’s a Samsung Note Series which is always little expensive than the reso of categories. S-Pen features and camera is the most notable feature in Samsung Galaxy Note 9 and the memory, the rest of the features are the same as Samsung Galaxy Note 8. If you are thinking to upgrade from Samsung Galaxy Note 8 to Samsung Galaxy Note 9 then wait for another year, some more worth buying note device will be launched. The Samsung Galaxy Note 9 is an almost perfect phone. If you can stomach the high price and you want a device this large, you can't go wrong. With some minor changes it could be a 10/10 score, but maybe the Note 10 will achieve that feat. The Galaxy Note 9 is Samsung's most advanced smartphone to date, as well as the best big-screen smartphone available today. It offers power and performance that will satisfy even the most demanding users, all packed into a stylish package that's impeccably built. A near-perfect phone for true phone enthusiasts. If only the giant battery lasted a little longer. Consumers can avail exciting cash-backs worth INR 6,000 through Paytm Mall or when they make a payment through HDFC bank credit and debit cards. Customers can also exchange their old smartphone, and avail an exchange bonus of INR 6,000 through Samsung upgrade, which is now available for other Android phones as well. Samsung’s one of the most popular series, Galaxy Note, announces the most powerful device. Call it tablet, note, smartphone or PC, it can work as any of them. The large screen, massive battery, Dex support and amazing camera make it perfect device to hold. The Galaxy Note9 is Samsung’s most advanced smartphone to date, as well as the best big-screen smartphone available today. It offers power and performance that'll satisfy even the most demanding users, all packed into a stylish package that’s impeccably built. Yes, if you are looking for an Android work horse. Yes, if you are looking for an upgrade from your earlier Note devices. Samsung Galaxy Note 9 is clearly one of the best Android phones you can buy, but the S Pen is the one reason why you might end up buying it in the end. Regardless of how you look at the device, Samsung's Note 9 is an iterative, albeit very good update to an already stellar smartphone. While I don't often like to assume what readers are looking for from a smartphone, whether or not the Note 9 is for you will depend on a few factors. First, you need to ask yourself if you're comfortable with dropping either $1,299 for the 128GB/6GB of RAM model, or $1,629 for the 512GB/8GB of RAM version of the Note 9? The Samsung Galaxy Note 9 feels like a Samsung Galaxy S9+ stuffed into the body of a Note 8. There is an upgraded S-Pen and a bigger battery, but these aren't enough to make the phone feel like a "new" flagship, despite being a top-notch performer. What's new with the Samsung Galaxy Note 9 Cameras? Now that the Samsung Galaxy Note 9 has been revealed, many seem to love it due to the surprisingly sold out pre-order here in Malaysia. However, if we look at the specification sheet, one of the things that caught our attention is how the phablet borrows the exact same camera specs from the Galaxy S9+, but with an additional Scene Optimizer. That said, is there any difference between the two? There's only one way to find out. The Galaxy Note 9 is available in 6GB RAM/128GB storage and 8GB RAM/512GB storage models for the price of RM3,699 and RM4,599 respectively. We would like to thank Shopee Malaysia for providing us a unit of the phone for review, simply head over here to purchase one if you have made up your mind on getting one. We've heard people saying 'it's an incremental upgrade', 'it doesn't bring anything on top of the Note8', 'it's the same phone as the S9+ only more expensive'. Erm... Those people could have been us too, and those people maybe have a point. The new Note doesn't really feel that new. Then again, the new Note is the most smartphone packed in a single device you can buy now. If that's what you're after, the Galaxy Note9 is an easy recommendation despite the high price. The new Samsung Galaxy Note9 features a unique dual aperture camera, with a mechanical aperture. It is said to deliver superior photos and videos in low-light conditions. Let’s put that claim to the test, and examine the Galaxy Note9 low light performance! Overall, the Samsung Galaxy Note 9 when compared to the Galaxy Note 8 -- offers better performance, is slightly compact design, better battery life, enhanced productivity with new S-Pen and if you top it with inbuilt Samsung DeX support, it’s a flagship like no other. Well it is a perfect phone with the best camera. Since it is a premium phone it does come with a premium price tag starting from Rs. 67,900. However if you cannot spend that much in a single go, here is another option. The Galaxy Note 9 is everything that you expect from the top Samsung phone. It comes with a stunning display that's the biggest yet for the series, blazing fast performance, generous amount of memory and storage, some of the best cameras you'll see on a 2018 flagship phone, and a battery that finally matches its size. The new stylus is also something I can get on board with. It's almost the perfect smartphone barring for that design that is unexciting and is getting quite old considering Samsung is using it for several years now. With the Samsung Galaxy Note 9 picture now fully viewable, I feel we are left with a device that, without doubt, is the best Android smartphone in the world right now and, technically at least, the best phone ever made. Most people, even those who would rightly consider themselves smartphone power users, would probably be satisfied with the Galaxy S9+ and saving almost $200 in the process. If the S Pen and a slightly larger battery are worth that extra cash, more power to you. The Note 9 is a supercar smartphone. Like all supercars, you pay handsomely for the privilege of driving a flagship. The Note 9 rightfully represents the pinnacle of Samsung’s smartphone line. It’s the best of everything, from display, to battery life, to performance and so on. It will likely be at the top of many best smartphone lists this year. And finally, they enhanced the S Pen with Bluetooth remote control capabilities and fast charging that can now be utilized with a new and easier way to work with Samsung's DeX desktop as well as a slew of other apps on the phone itself. The DeX environement is now more easily accessible as well via a simple USB-C dongle adapter. All of these little tweaks and optimizations add up with Samsung's Galaxy Note 9. At $999 for the 6GB RAM/128GB storage version and $1249 for 8GB RAM/512GB storage variant, the Note 9 is just plain expensive no doubt. In fact, that may be a real sticking point for more than a few here, let's be perfectly clear. Off contract? Ouch. I’ve always liked the Note series. It knows its not for everyone and pushes features that you just don’t see elsewhere. Having such a large battery, huge amounts of storage and that gorgeous display has me interested. Samsung Galaxy Note 9 hands-on: To buy or Note to buy? Samsung's Galaxy Note range was originally a somewhat niche line, built for power users that wanted a large screen and more productivity than was offered by the traditional smartphone. Unfortunately - or fortunately, depending on how you look at it - the rest of the market has caught up with these desires, and most modern flagships now offer large screens and productivity features galore. Samsung continues its nearly spotless history of delivering excellent big-screen phones with the Note 9. It offers powerful performance, a long-lasting battery and a brilliant display. Its cameras aren’t the best in class, but they still take great photos, and the new S Pen remote controls make the stylus useful for more than just doodles. This is hands-down one of the best phones of the year. After a brief stint with the Note 9 we are more impressed than expected to be. For a phone that looks a lot like the Note 8, the build quality is surprisingly improved with a less smudge-prone finish on the blue and purple models and a grippier edge. We’ll be putting the Samsung Galaxy Note9 through its paces over the coming weeks. Keep an eye out for our full review. Otherwise, Samsung’s new ‘ultra-premium’ model looks and feels great. It has some compelling features, including Fortnite, to draw a crowd. OK, it has happened. Samsung’s Galaxy Note9 is set to conquer this Galaxy and beyond. It is light years ahead of the Note8 it replaces and shares much in common with the Galaxy S9/Plus. In terms of design, the Galaxy Note 9 looks a lot like its predecessor, though it's marginally wider, thicker, and heavier than the Galaxy Note 8. We look forward to seeing how that impacts us in day-to-day usage, especially considering we highlighted the weight of the Galaxy Note 8 as a problem in our review. Now that the Samsung Galaxy Note9 Unpacked event is over, here are our hands-on videos, as well as pictures, features, PRICES + OFFERS. Check them out! The Galaxy Note 9 will be priced at Php 55,990 for the 128GB model, and Php 75,990 for the 512GB model. The pre-order period for both variants is from August 11 to 19. Those getting the 128GB variant can avail of either a Gear Fit2 Pro, Gear IconX, or Galaxy Tab A 7-inch. Those planning to get the 512GB variant gets a 32-inch LED Smart TV as part of the bundle. All that tech doesn’t come cheap. We've already mentioned the Note 9 is Samsung's most expensive phone yet - the 128GB model costs £899, and the 512GB version set you back an eye-watering £1099. The Galaxy Note9 is the latest generation in Samsung's stylus-friendly smartphone series, and it boasts an evolved S Pen, new DeX capabilities and monstrous storage options. Following the release of the Galaxy Tab S4, the Note9 is the latest step from Samsung to integrate business and personal features into one device. The Samsung Galaxy Note9 will be available in four colors: Midnight Black, Metallic Copper, Ocean Blue, and Lavender Purple. Each color comes with a color-matched S Pen, except for Ocean Blue, which has a yellow S Pen. Samsung has brought the Galaxy Note series to the next level with the Galaxy Note 9. It comes with big improvements over its predecessor, like, the more powerful chipset, bigger RAM and storage configurations, new S Pen features, AI features, built-in Samsung DeX, and larger battery. However, it’s more like an upgraded Note 8 or an S9+ on a ton of steroids. It packs cooler features and more power but nothing revolutionary. The best phablet in the world just got bested. Which means the Note is dead, long live the Note! Or at least that's what the Note fans are thinking after today's presentation was over. Unfortunately, all of those refinements come at a hefty price. Samsung’s flagship offerings are fast becoming the most expensive options for Android-powered devices, and the Galaxy Note 9 is no exception. The base 6GB/128GB variant is priced at Php 55,590, while the 8GB/512GB comes in at an astounding Php 75,990. Those are steep prices for an Android phone, and even Samsung die-hards will have to think long and hard about picking up the Galaxy Note 9 when it becomes available for pre-order from August 11 to 19. Those getting the 128GB variant can avail of either a Gear Fit2 Pro, Gear IconX, or Galaxy Tab A 7-inch. Those planning to get the 512GB variant get a 32-inch LED Smart TV as part of the bundle. Samsung is also said to be introducing more color options for the Galaxy Note 9. It is speculated that you can see as many as five color options: blue, black, brown, lavender and gray. It is possible that not all colors will be available at launch or in all markets. Like the S9 phones, the Note 9 doesn't look like it's going to be a big upgrade from the Note 8 but there are some noteworthy things. Positive: Powerful hardware; high performance; top cameras; excellent display; impressive stylus pen. Negative: High price. Positive: Powerful hardware; high performance; excellent display; top cameras. Positive: Excellent cameras; long battery life; smart stylus pen; stylish design; nice display. Negative: Relatively heavy and bulky; high price; mediocre speakers. Positive: Powerful hardware; high performance; excellent display; top cameras; impressive stylus pen. Positive: Powerful hardware; high performance; top display; excellent cameras; smart stylus pen. Negative: Heavy and bulky; relatively high price. Positive: Large screen; high autonomy; good hardware; impressive stylus pen. Positive: Impressive stylus pen; long battery life; quick charging; high performance. Positive: Powerful hardware; high performance; top display; excellent cameras; impressive stylus pen. Negative: Expensive. Positive: Powerful hardware; high performance; excellent stylus pen; top display; good cameras. Negative: Relatively high price. Positive: Large screen; beautiful display; good hardware; nice cameras; elegant design; metal case; long battery life. Positive: Nice display; good cameras; smart stylus pen; support waterproof IP68; solid workmanship. Negative: Low autonomy; high price; inflexible Bixby mode. Positive: High performance; excellent cameras; powerful hardware; impressive stylus pen. Positive: Nice display; long battery life; good hardware; excellent cameras; smart stylus pen. Samsung Galaxy Note 9 hands-on: l'ultimo della specie? Positive: Large battery capacity; impressive stylus pen. Positive: Good hardware; nice display; decent cameras; flexible stylus pen. Negative: High price. 80% Samsung Galaxy Note 9 - Genoten! Positive: Excellent display; high performance; smart stylus pen; great cameras. Negative: Relatively high price. Positive: High autonomy; premium design; solid workmanship; powerful hardware; high performance; excellent display; top cameras; impressive stylus pen. Positive: Nice display; impressive stylus pen; large battery capacity; intelligent scan. Negative: Average performance; high price. Positive: Impressive stylus pen; large battery capacity; good hardware; nice gaming performance. 90% [Test] Samsung Galaxy Note9: paré à recevoir la concurrence ! 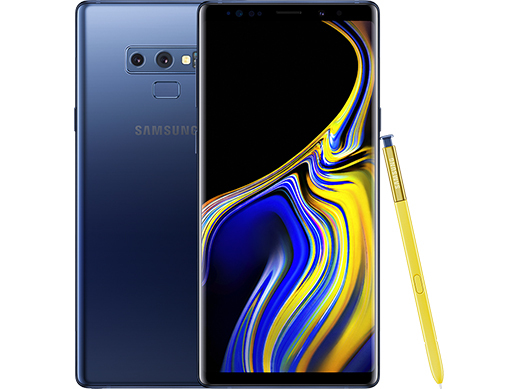 90% [ TEST ] Samsung Galaxy Note 9 : le smartphone le plus complet de la firme ! 90% Test du Samsung Galaxy Note 9 : presque parfait ? 90% [ TEST ] Samsung Galaxy Note 9 : c’est cher mais qu’est-ce que c’est bon ! Positive: Beautiful screen; smart stylus pen; nice cameras; excellent performance. Negative: Slow face ID. Positive: Beautiful design; solid workmanship; good hardware; fast system. Positive: Large screen; impressive stylus pen; large battery capacity. Positive: Powerful hardware; high performance; nice display; excellent dual cameras; impressive stylus pen. Negative: High price. Positive: Smart stylus pen; large battery capacity; excellent cameras; large screen; nice display. Prise en main du Samsung Galaxy Note 9 : le meilleur pour la fin ? Positive: Powerful hardware; high performance; impressive stylus pen; high autonomy. 83% [Recenzja] Samsung Galaxy Note9 — smartfon bezkonkurencyjny! 95% Recenzja Samsunga Galaxy Note 9. Jedni twierdzą, że nudny, inni – że prawie idealny. To jak to w końcu jest? Positive: Powerful hardware; high performance; excellent display; top cameras; impressive stylus pen. Negative: High price. Samsung Galaxy Note 9: Cena jest bardzo wysoka, ale za to bonusy przedsprzedażowe… mogą być? Positive: Powerful hardware; high performance; impressive stylus pen. Negative: Expensive. Positive: Powerful hardware; high performance; excellent display; top cameras; impressive stylus pen. Negative: Relatively high price. Positive: Long battery life; excellent cameras; impressive stylus pen; good speakers; powerful hardware; premium design; nice cooling system. Positive: Excellent cameras; powerful processor; support wireless charging; waterproof IP68. Positive: Impressive cameras; excellent stylus pen; best screen. Positive: Powerful hardware; high performance; long battery life; impressive stylus pen. Negative: Relatively high price. Positive: Solid workmanship; nice design; large screen; decent speakers; excellent cameras. Negative: Relatively high price; heavy and bulky; low gaming performance. Positive: Stylish design; powerful hardware; excellent cameras; fast and wireless charging; support waterproof; impressive stylus pen. Negative: Relatively high price. Positive: Impressive stylus pen; powerful processor; excellent display; top cameras; support waterproof. Negative: Expensive. Positive: Powerful hardware; high performance; impressive stylus pen. Negative: High price. Positive: Premium design; good hardware; nice performance; top cameras; impressive stylus pen. Negative: Expensive. Positive: Powerful hardware; high performance; excellent display; impressive stylus pen. Negative: Relatively high price. Positive: Fast system; beautiful design; smart stylus pen; great cameras; long battery life. Negative: High price; relatively heavy. Positive: Pleasant ergonomy; excellent display; high performance; top cameras; good speakers; impressive stylus pen. Negative: High price; inflexible fingerprint sensor; bulky. Positive: High performance; perfect display; long battery life; top cameras; waterproof IP68; impressive stylus pen. Negative: High price; slow charging; slippery. Positive: Powerful hardware; high performance; nice display; top cameras. Positive: High performance; excellent dual cameras; impressive stylus pen; long battery life. Positive: Premium design; solid workmanship; powerful hardware; high gaming performance; good cooling system. Positive: Long battery life; smart stylus pen; powerful processor; high gaming performance. Positive: Premium design; long battery life; excellent display; great cameras; smart stylus pen; powerful hardware. Positive: Premium design; nice cameras; fast system; smart stylus pen; great cameras. Positive: Premium design; solid workmanship; big screen; excellent display; powerful hardware; high performance; impressive stylus pen. Positive: Powerful hardware; high performance; good cooling system; long battery life. Positive: Premium design; high performance; excellent cameras; impressive stylus pen. Positive: Flexible fingerprint sensor; impressive cameras; long battery life; smart stylus pen; powerful hardware. Positive: Powerful hardware; impressive stylus pen; premium design; excellent cameras; top performance; nice display. Positive: Powerful processor; beautiful design; great built quality; excellent cameras. Negative: Relatively high price. Positive: Powerful hardware; high performance; top performance; excellent cameras; impressive stylus pen. Negative: High price. Positive: Powerful hardware; high performance; top cameras; excellent display; smart stylus pen. Positive: Good hardware; nice performance; impressive stylus pen. Positive: Beautiful design; excellent display; high performance; top cameras; impressive stylus pen; powerful hardware; support waterproof; good speakers. Negative: High price; uncomfortable Bixby mode. Positive: Excellent display; fast fingerprint sensor; solid workmanship; high autonomy; nice cameras; support waterproof; wireless charging. Negative: Slippery; high price; inflexible Bixby mode. Positive: Elegant design; solid workmanship; excellent display; decent hardware; great autonomy; nice dual cameras; smart stylus pen; good speakers. Negative: High price; heavy; useless Bixby mode. Positive: Impressive cameras; high autonomy; big screen; powerful processor; smart stylus pen. Negative: Expensive. Positive: Impressive design; powerful hardware; high performance; top dual cameras; excellent display; flexible stylus pen. Negative: Expensive. Model: The Galaxy Note has always put powerful technology in the hands of those who demand more. The Samsung Galaxy Note 9 surpasses even these high expectations, focusing on what matters most in today’s always-on, mobile world. The Note 9 measures at 161.9 x 76.4 x 8.8 mm and weighs at 201 g. The display of the Note 9 is a 6.4-inch Super AMOLED infinity display, which is a near bezel-less, full-frontal glass, edge-to-edge screen. It has a resolution of 2,960 x 1,440 pixels (Quad HD+). Complementing the screen is a monochrome metal frame available in a vibrant set of colors with a matching or contrasting S Pen to suit their style. The all-new S Pen now boasts powerful Bluetooth technology, letting users press a button to take control of the camera, presentations, and apps without touching the phone. While drawing, taking notes or sending Live Messages, the S Pen is as intuitive and natural as pen and paper, thanks to the fine tip and 4096 pressure levels. Powered by Qualcomm Snapdragon 845, which is an octa-core CPU (4x 2.7 GHz Kryo 385 Gold & 4x 1.7 GHz Kryo 385 Silver) and Adreno 630 GPU, it is certainly a smartphone that delivers great performance. The Samsung Galaxy Note 9 8 GB RAM models come with 512 GB internal storage, whereas 6 GB RAM models come with 128 GB internal storage. With the power of 128 GB/512 GB storage built in, as well as expandable up to 512 GB, users will have almost a terabyte of space for what matters. The smartphone is optimized for gaming. The water-carbon cooling system on the Galaxy Note9 sustains high performance during game time by preventing overheating of the cutting-edge processor. Plus, the AI-based performance adjuster ensures the game stays smooth and not sluggish. As for the camera, the primary camera of Note 9 is a 12 MP unit with dual aperture lens. Dual Aperture adapts like the human eye for stunning shots, day or night. The front camera is another 12 MP unit. New revolutionary features make it nearly impossible to take a bad shot. The Galaxy Note 9 intelligently recognizes what users are looking at, optimizing color settings like contrast, white balance, exposure, and more. And by detecting blinks and blurs, users can reshoot while the moment is still right. For battery life, the Galaxy Note 9 introduces a powerful, all day 4,000 mAh battery that goes the distance on a single charge, which keeps pace with user’s life. Users can stay stylish and powered up with cases and wireless chargers. Users can also transform their phone into a PC-like experience with a single cable via Samsung DeX. As a conclusion, the Samsung Galaxy Note 9 is a high performing smartphone with a high-quality build, which is expected from Samsung’s flagship phone. However, it does not come at a cheap price tag, which is probably the only downside of this smartphone. 89.61%: There do not exist many models, which are rated better. The most ratings get ratings, which are a bit worse.